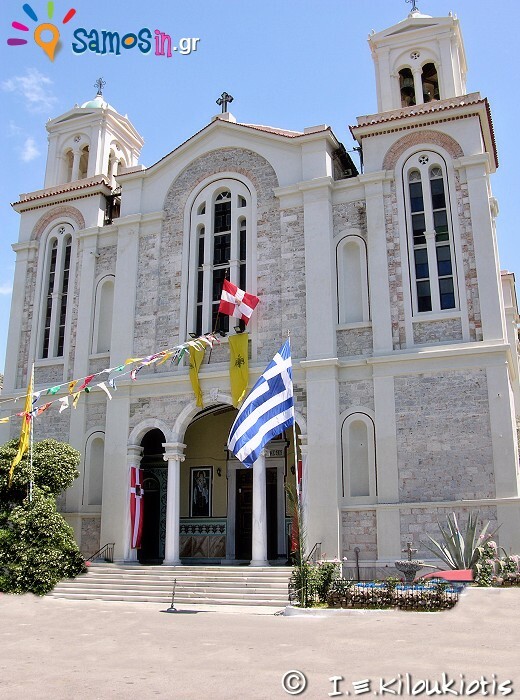 The church located at the central of Samos city, next to the Archaeological Museum of Samos, the Town Hall and the Municipal Garden. 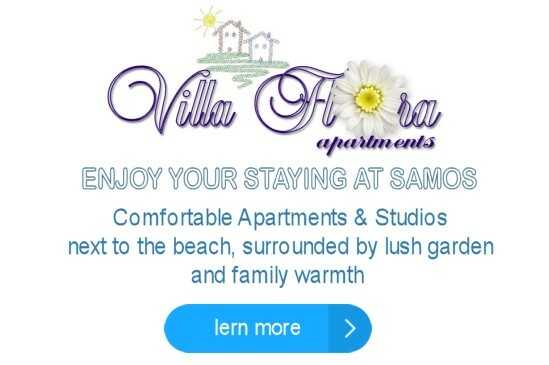 It is dedicated to Saint Spyridon and celebrates December 12th. 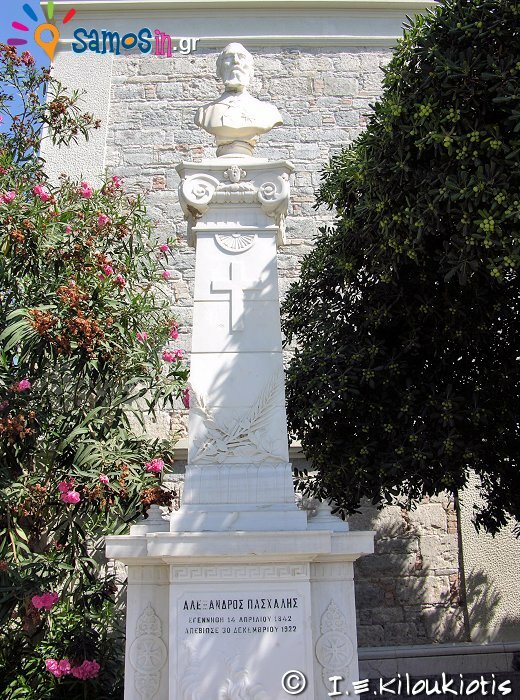 At the same place as the present church, there was the oldest church of Saint Spyridon, where on 9 March 1822 the Archimandrite Makrobios encouraged the Samians to help residents from Chios by the anger of Othomans and on 26 September 1833 the elders of the island were at the mass and then met in the town square to acceptance or not the written subjugation of Samos to the Sultan (Othomans). 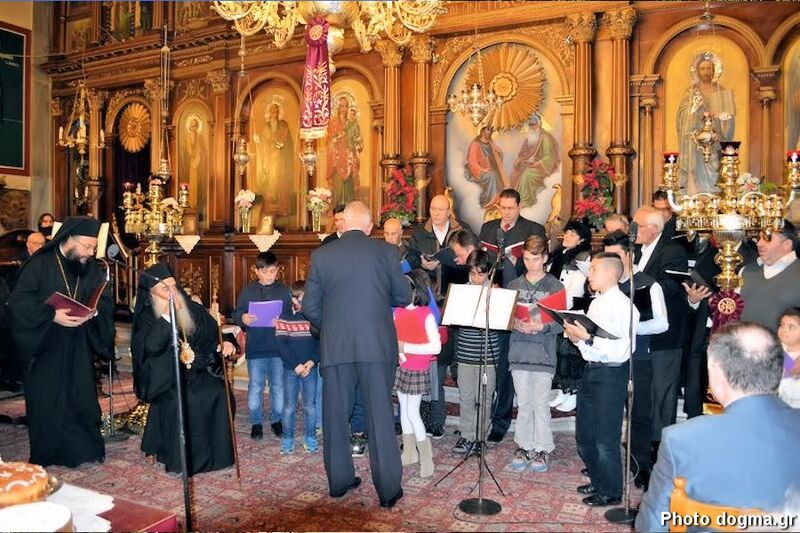 There followed another 6 meetings in the old church of Saint Spyridon (until September 30), in which they finally voted against and did not sign subjugation papers. 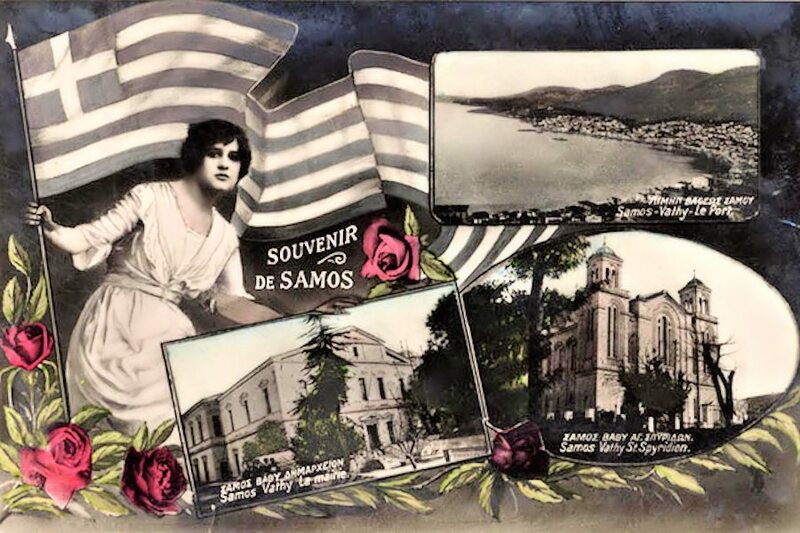 With recent documents, where the Sultan granted more liberty to the island, which the Samians accepted, and on 21 August 1934 Samos proclaimed the Hegemony, until November 11, 1912, when Samos united with Greece (more about Samos history >>). 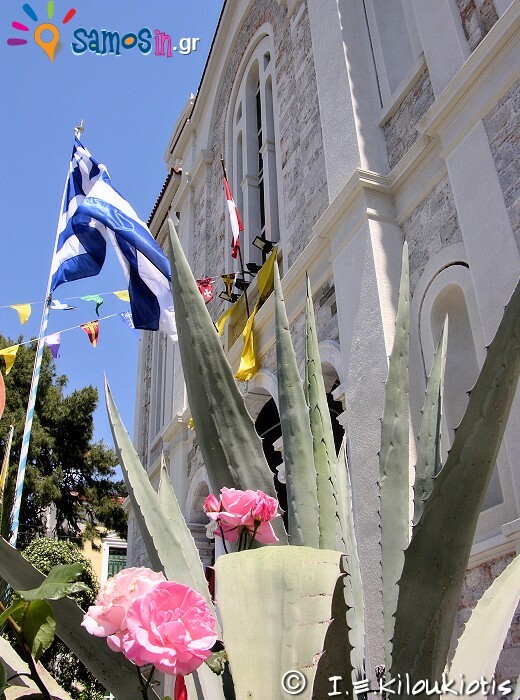 The foundation of the newer church began in 1892, the period that Alexandros Karatheodoris, was the ruler at Samos, but the work was abandoned because of lack of money. 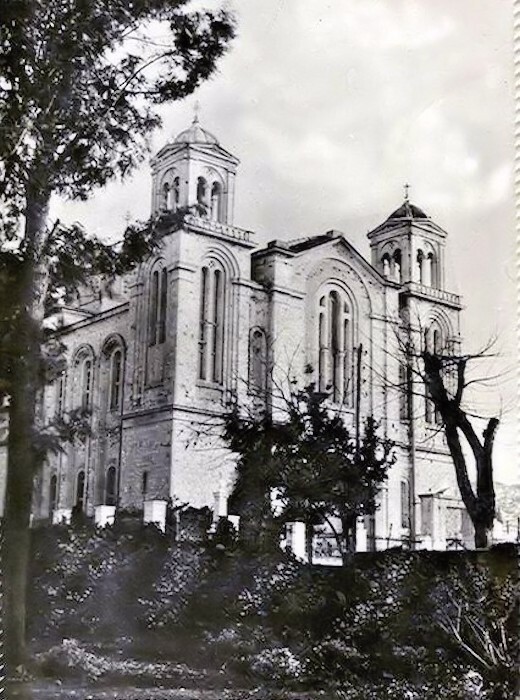 In 1907 the wealthy merchant Alexandros Paschalis asked the Samian Hegemonic parliament to undertake the completion of the church and the construction of a museum with his own expense, as he was granted. 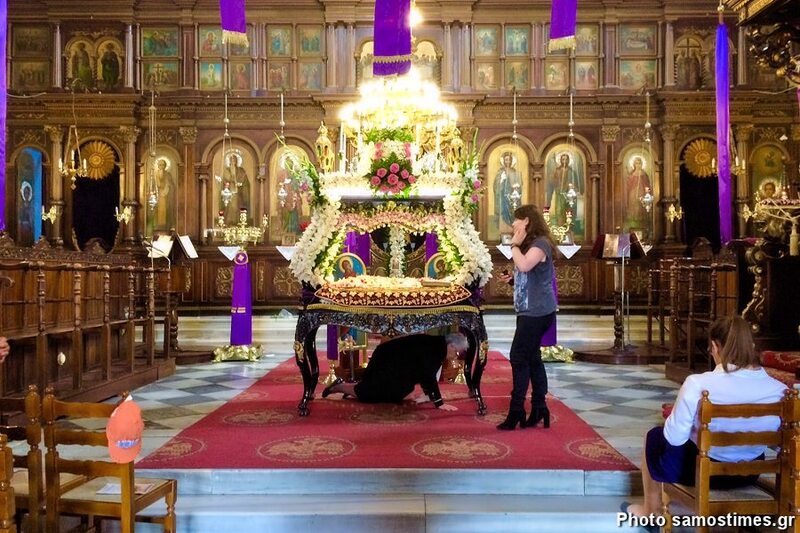 After 2 years, on December 12, 1909, the day of the feast of Saint Spyridon, the church was inaugurated. 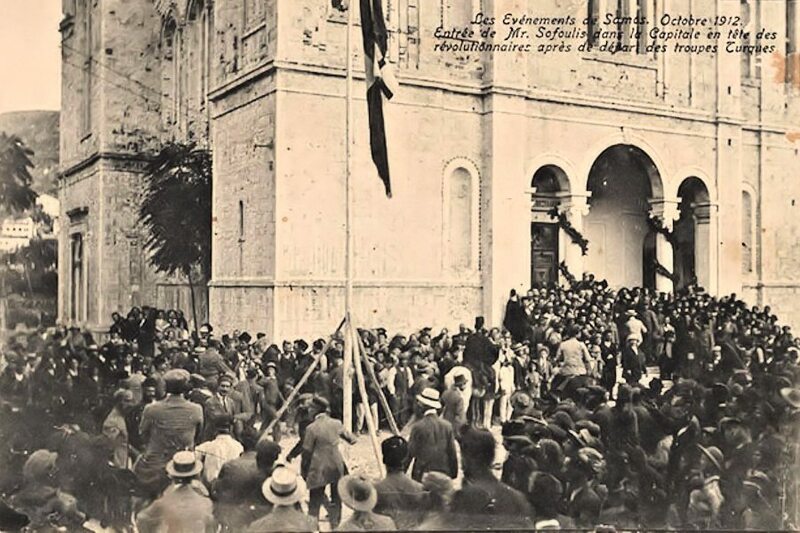 The church is a symbol of the union of Samos with Greece, since at Sunday November 11, 1912, Themistocles Sofoulis accompanied by the authorities of the island, crowd of people and the Greek flag waving, proclaimed the union of Samos with Greece. 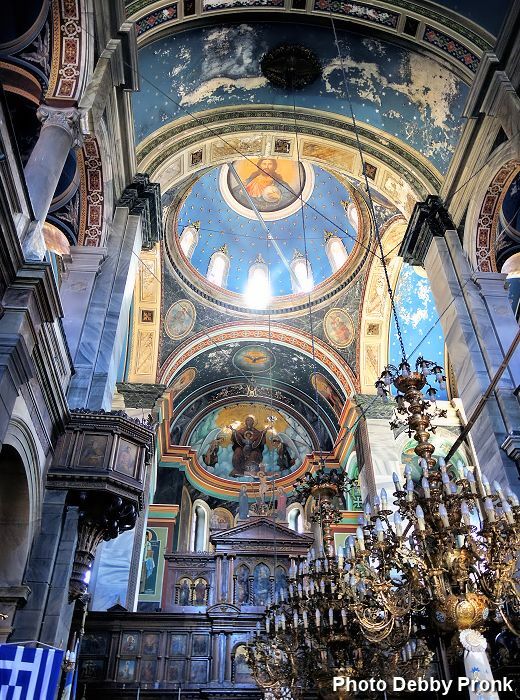 The architectural rhythm of the church is basilica with dome, an excellent masonry with extremely arched openings. 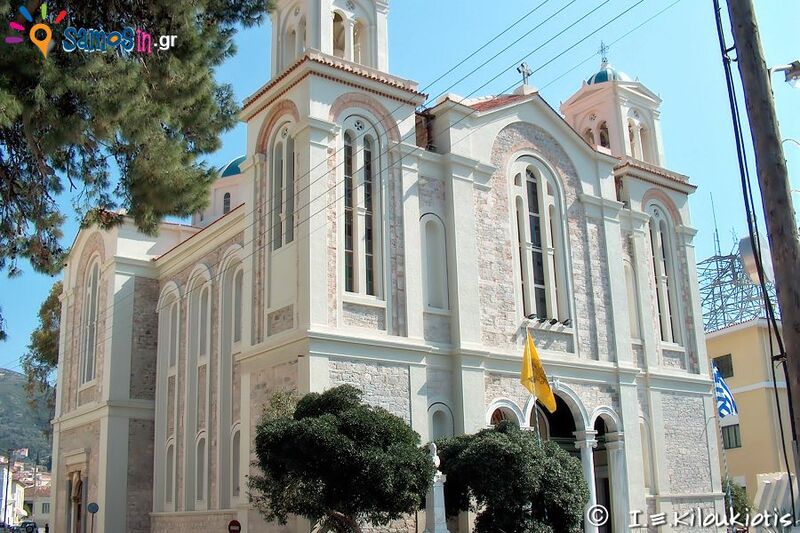 Its dimensions are 32 m width and 16 m long while the height reaches 24 m. At the main entrance there are two impressive marble columns, Ionic style, with pilasters that support the architrave. 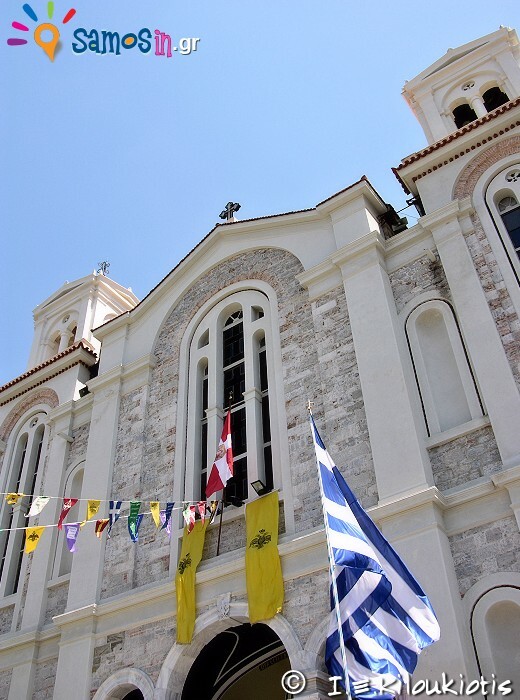 The wonderful exterior image of the church is completed with two high bell towers, left and right of the central entrance. 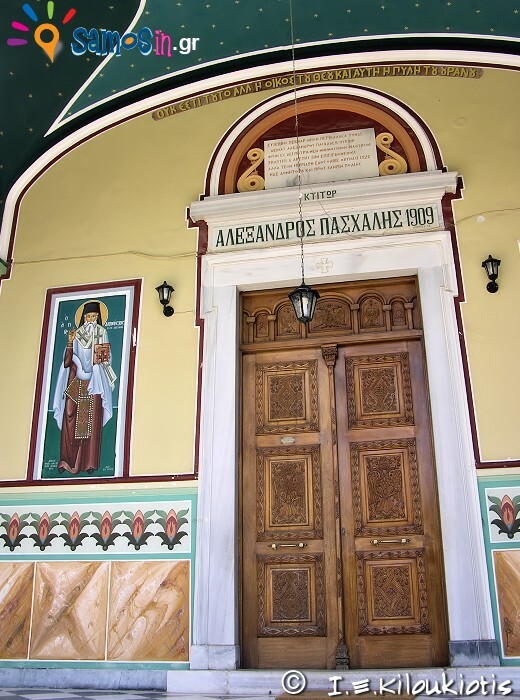 At the interior of the church , the icons of the iconostasis are of 1911 and 1912, the icons of the despotic throne is a tribute by Metropolitan of Samos Konstantinos Vondzalidis in 1903, the two icons of Saint Andrew and Saints Constantine and Helen are a tribute by the ruler of Samos Andreas Kopassis 1909, while the main icon of Saint Spyridon is donated by Alexandros Paschalis himself. 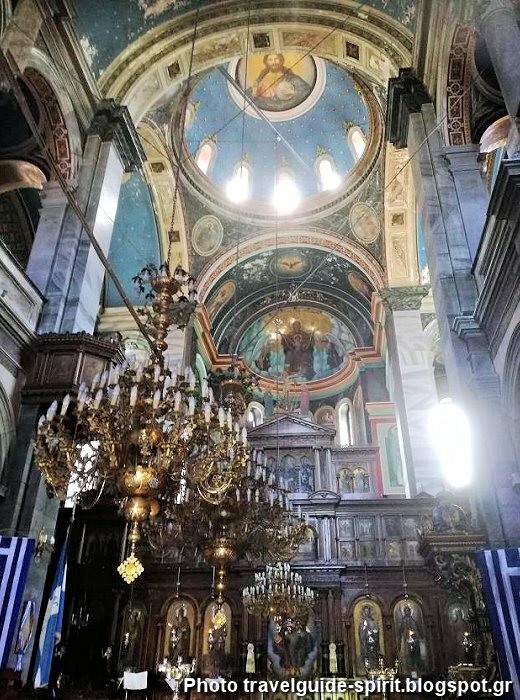 There are also older icons in the church, such as Agios Dionysios of Zakynthos in 1777 and others of the 18th century, from the old church. 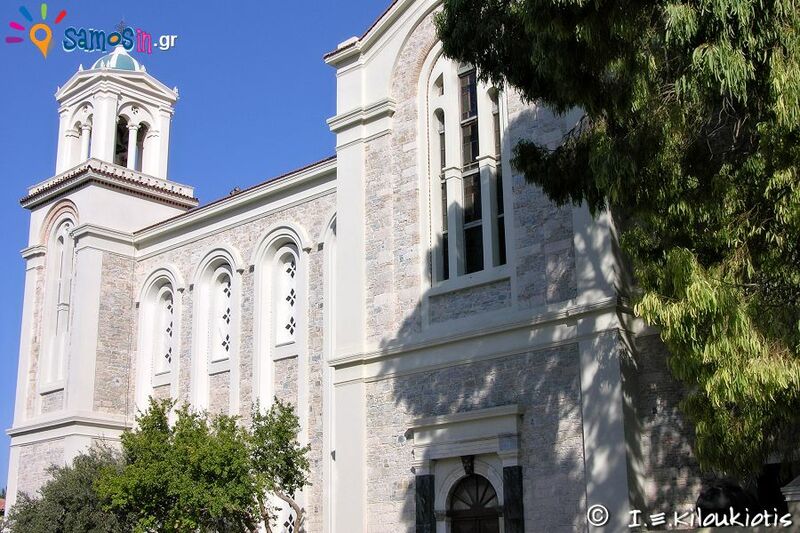 The church located at the city of Samos, next to the Archaeological Museum of Samos, the Town Hall and the Municipal Garden.